Protection Features: The case keeps your phone safe from scratches that may come from interaction with sharp or rough objects. 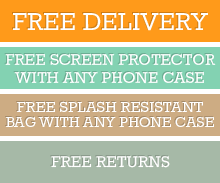 Its shockproof feature protects your phone from damages caused by drops and falls. The dimensions were precisely made to fit your phone, keeping dust, dirt, and other debris from coming in and damaging your phone. Material: Made from high-quality, non-toxic TPU material, the case is made to endure the fatigue of everyday use. Its flexible material can maintain the case's shape and design over time. Design: The Transparent case adds character to your phone with its intricately-designed phoenix tail pattern on the back. Though the design is vibrant, it still goes well with any outfit, making it the perfect accessory to your phone. It barely adds any bulk to your phone with its super light build so you can carry it anywhere you go. Click the button below to add the iPhone XR Case Phoenix Tail Pattern Diamond Texture Oil Embossed TPU Cover to your wish list.